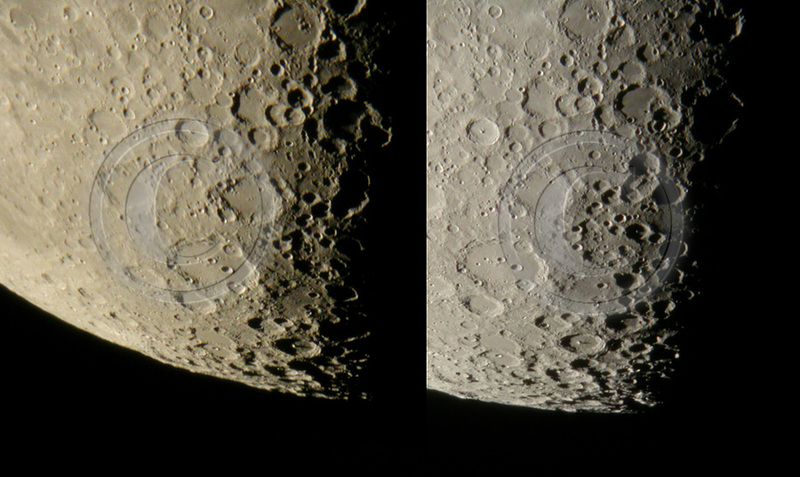 From a large collection of lunar images it was of interest to check how the scenery on terminator changes as lunar day advances i.e. 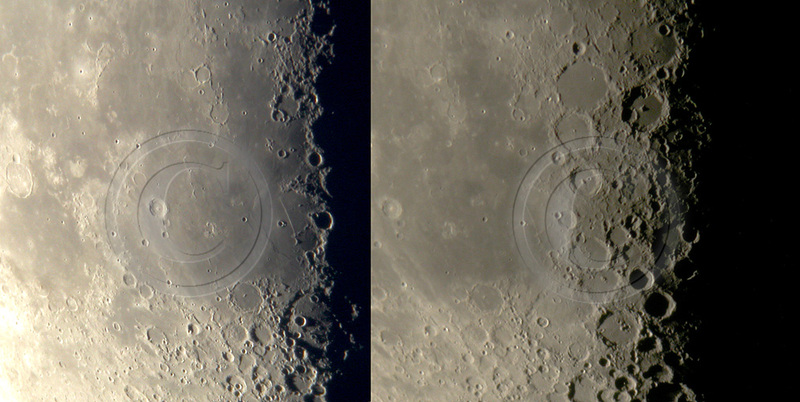 how sunrise and sunset change the appearance of craters close to the terminator. 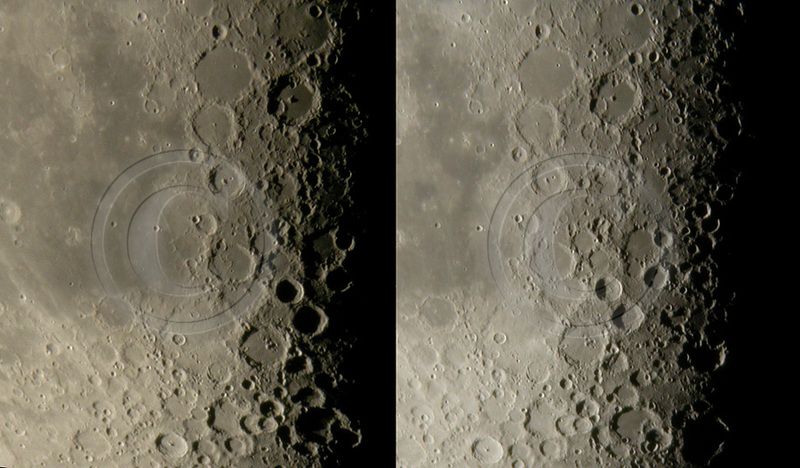 These images are composed of phases, where terminator difference is less than about 35 degrees in longitude. 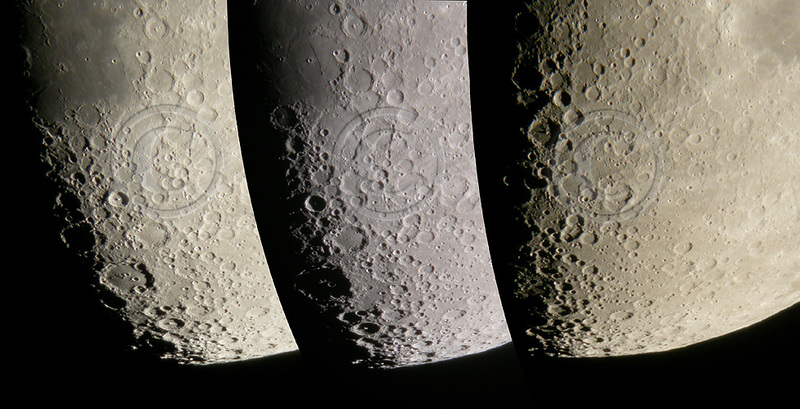 If there were reasonably sharp images available, several series were compiled. 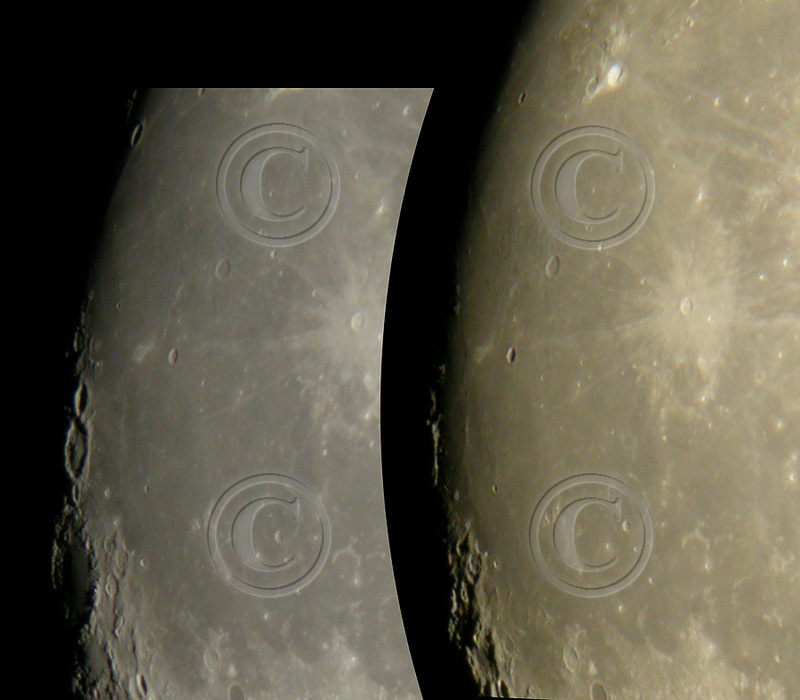 First of all each phase was checked to see whether there were appropriate other phases to make pairs. 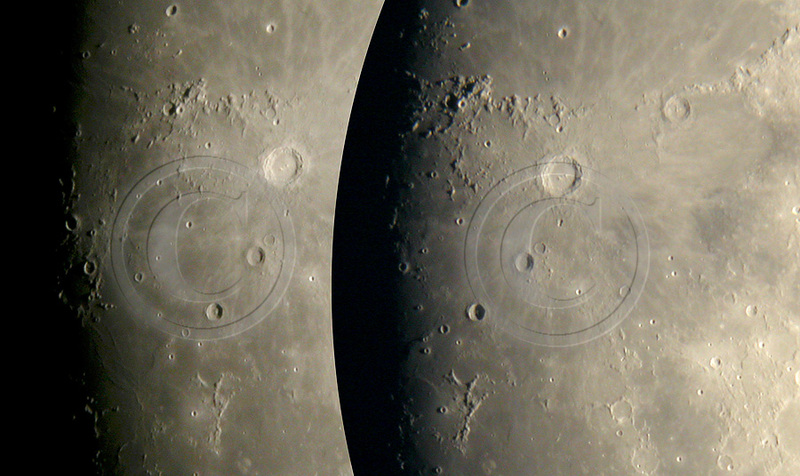 If there were - say - 4 close phases available, then each of these was paired with the one and later they were also used to form triples and quadralupes. 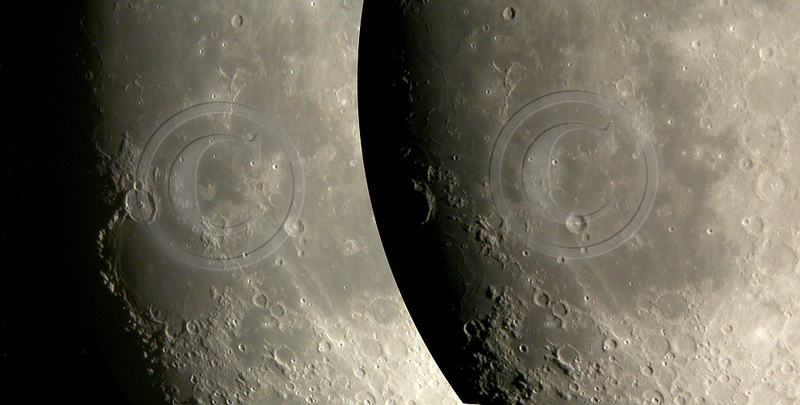 One phase looks a bit disturbing: 23rd Aug 05 (terminator longitude 52E) when lunar apparent diameter was 1940". 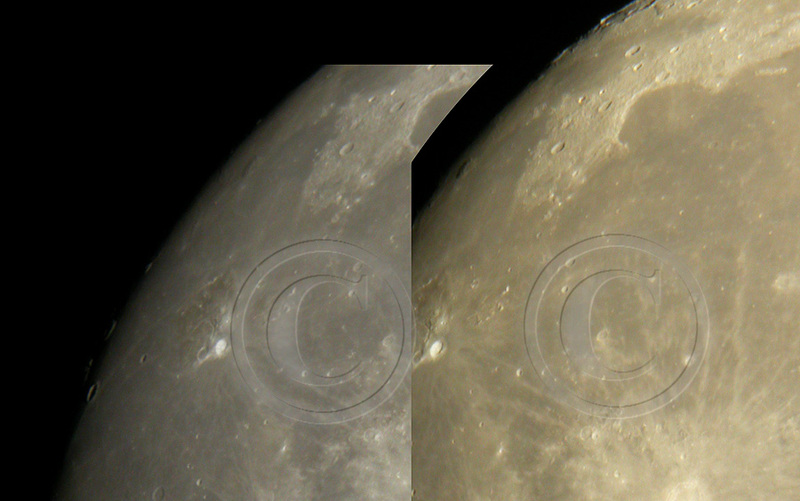 This paired nicely with many other phases, but on the other hand moon happened to be extremely large in size and even worse: libration had tilted north pole close to its max value. 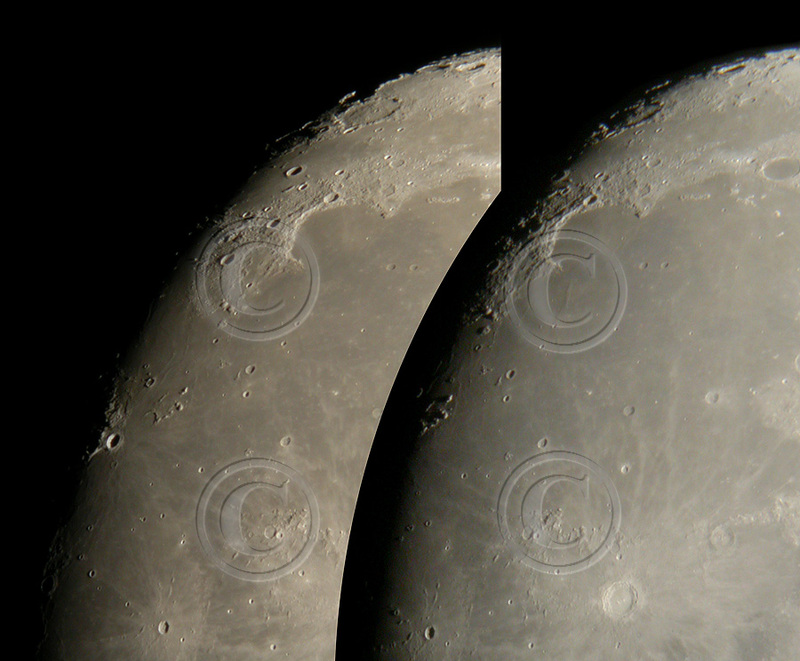 These together create disturbing discrepancy with other images. 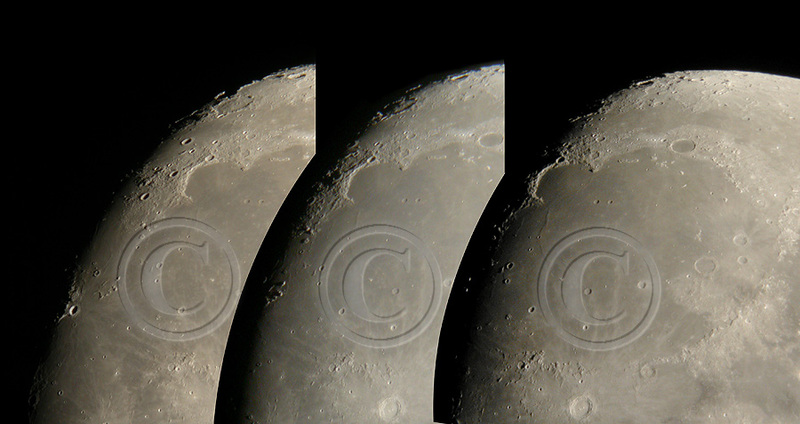 When images were composed, a detail on the bottom/top of the pictures was chosen and used to register all images. 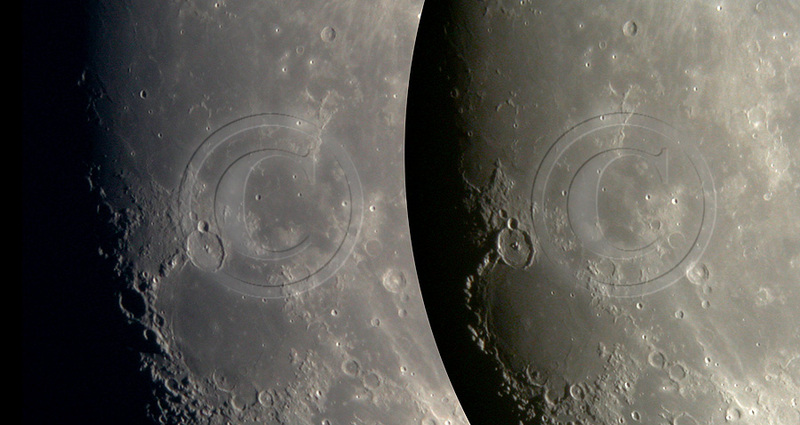 Thus libration and size may cause an uneven appearance of the upper/lower edge of the lunar images. 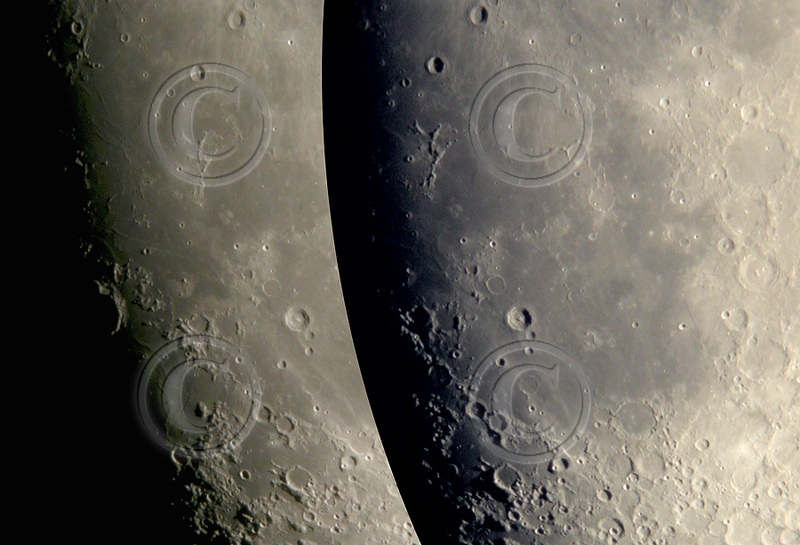 File names indicate approximate terminator longitudes in the compose. 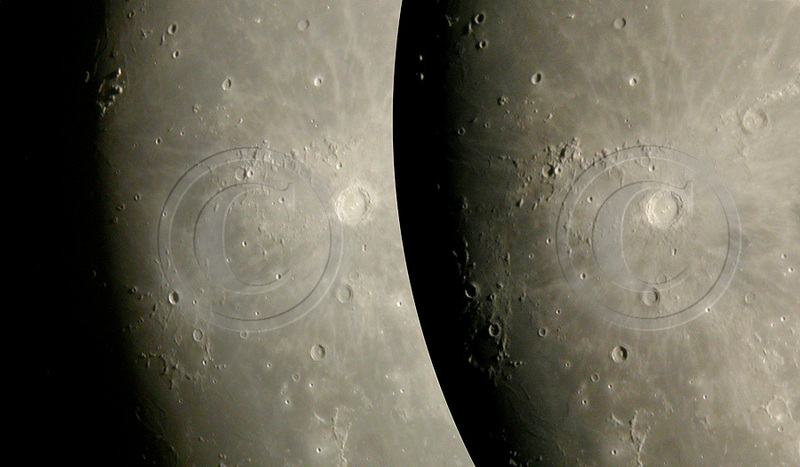 Typically TIF-files are 12-20 MB, but there are some up to 60MB. 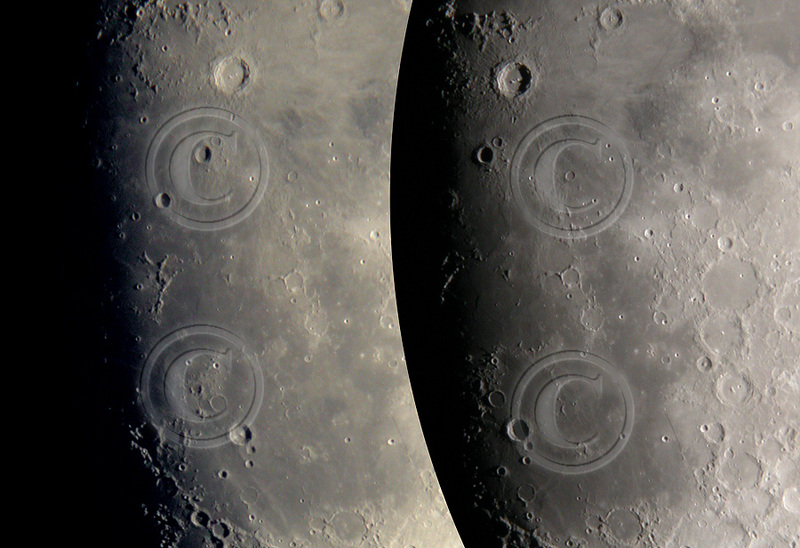 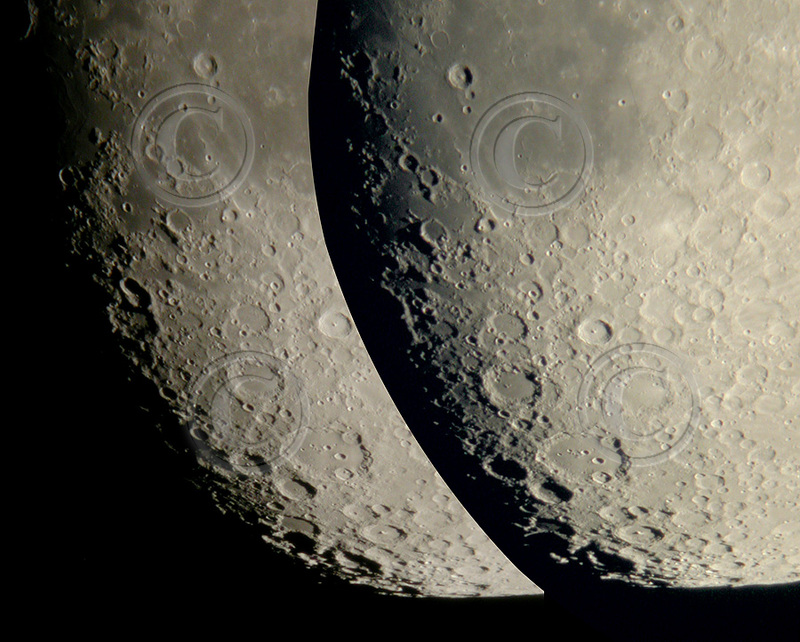 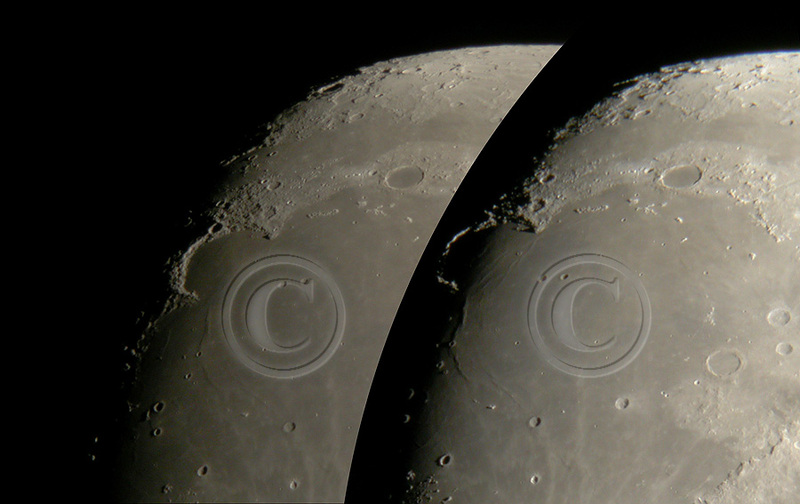 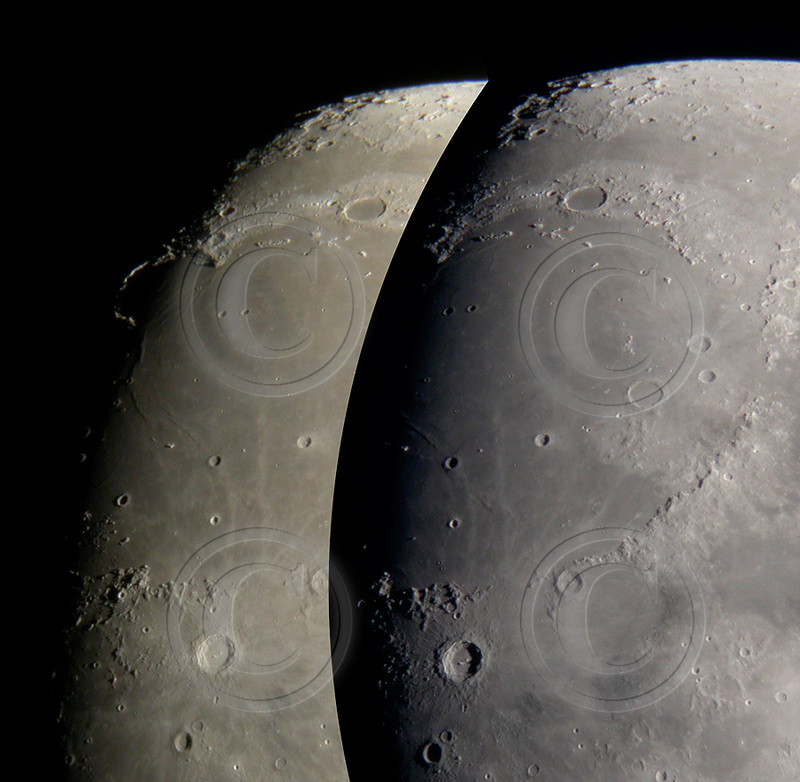 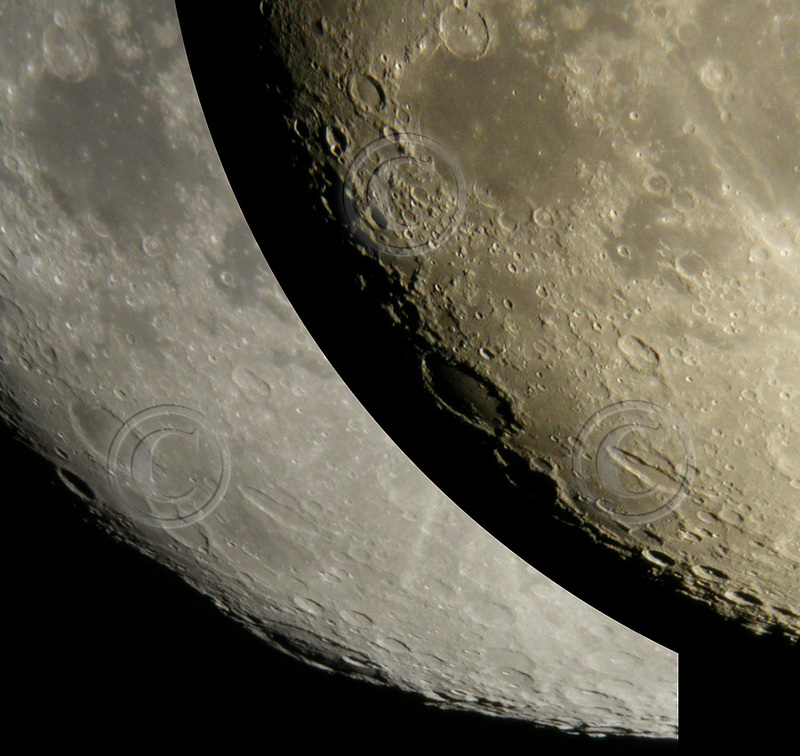 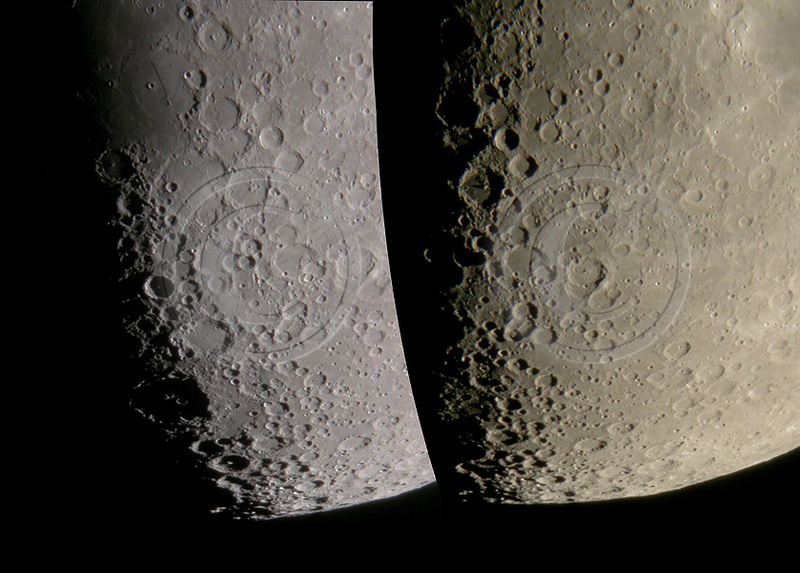 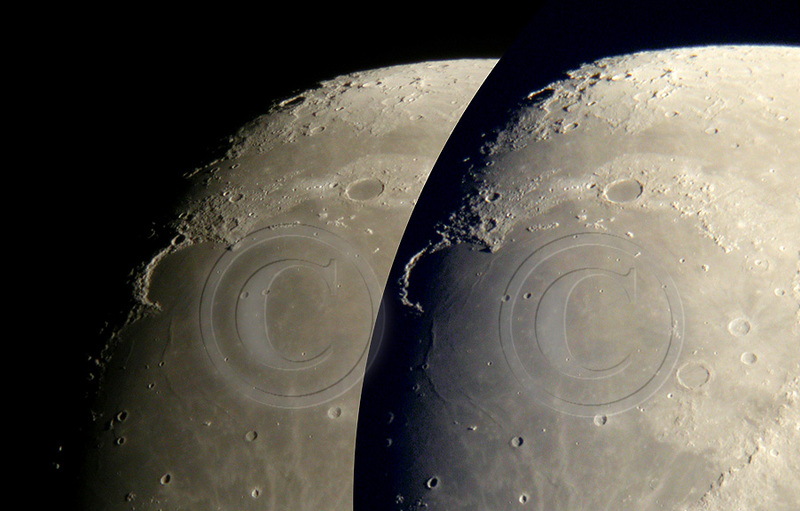 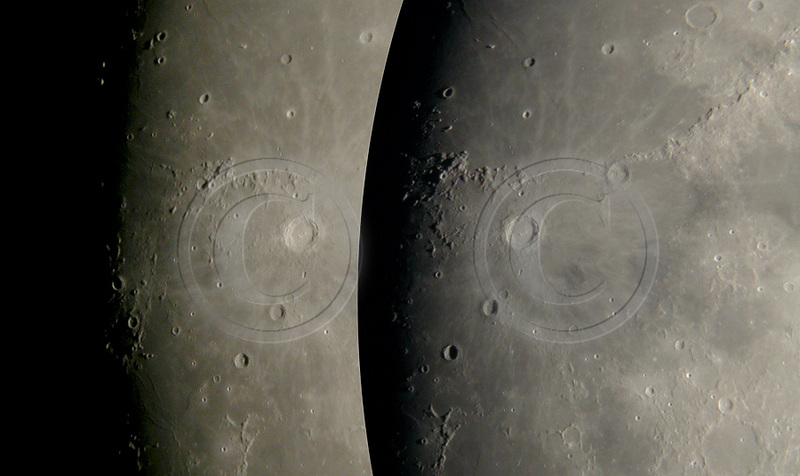 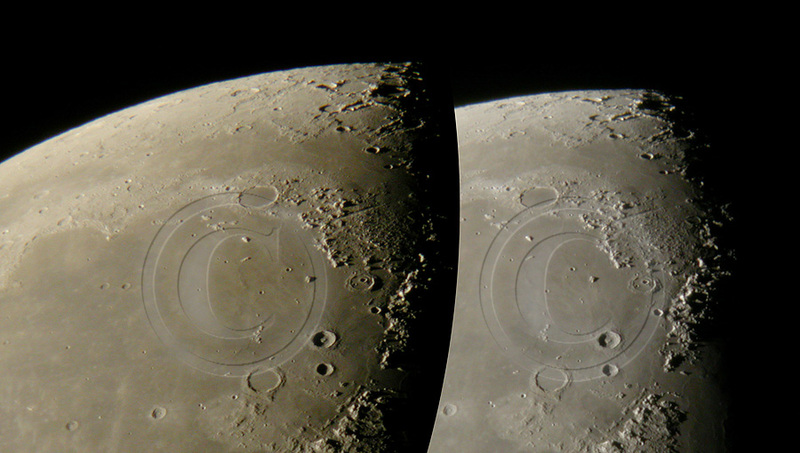 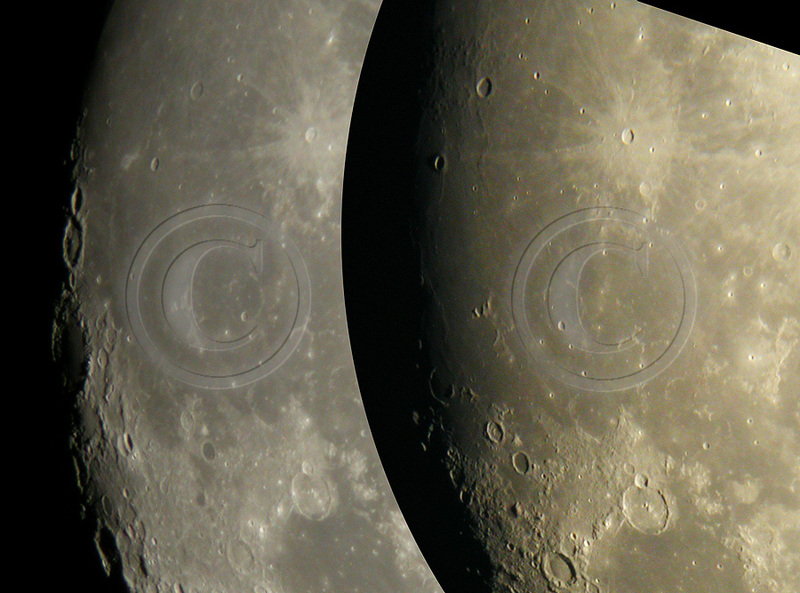 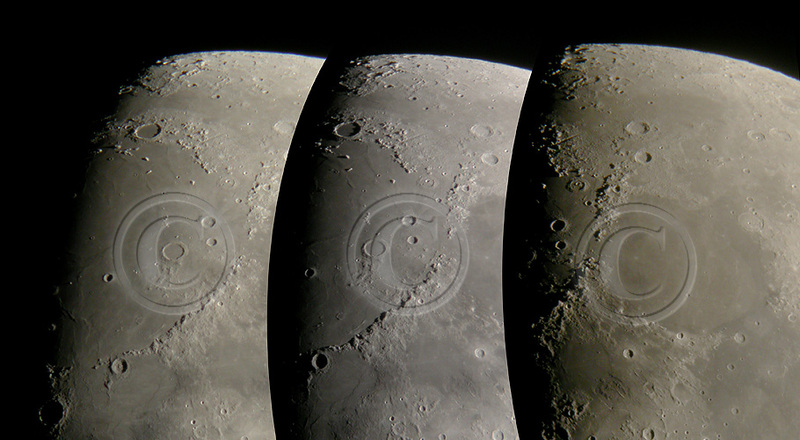 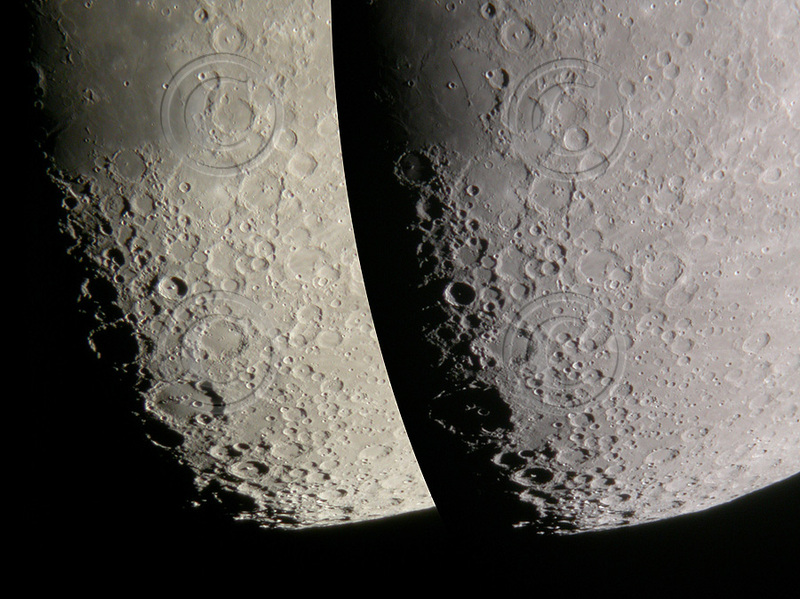 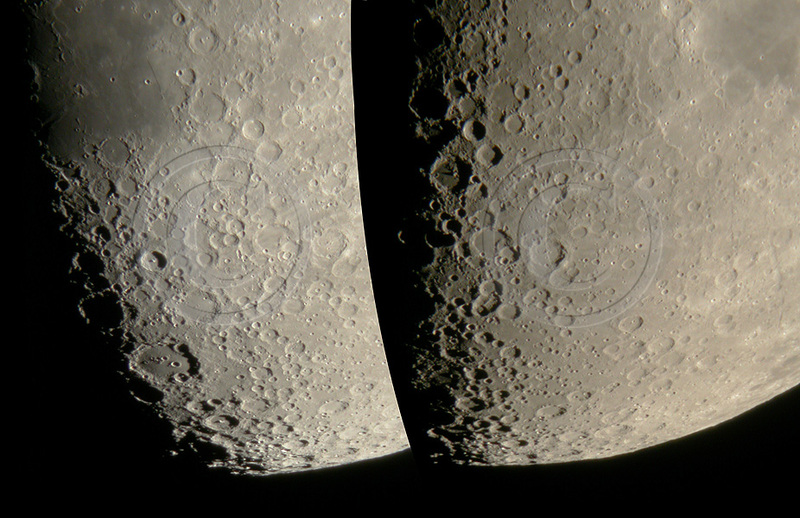 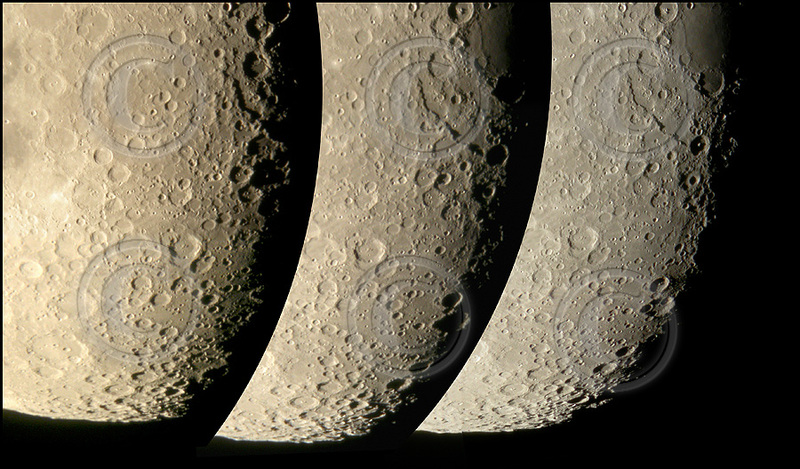 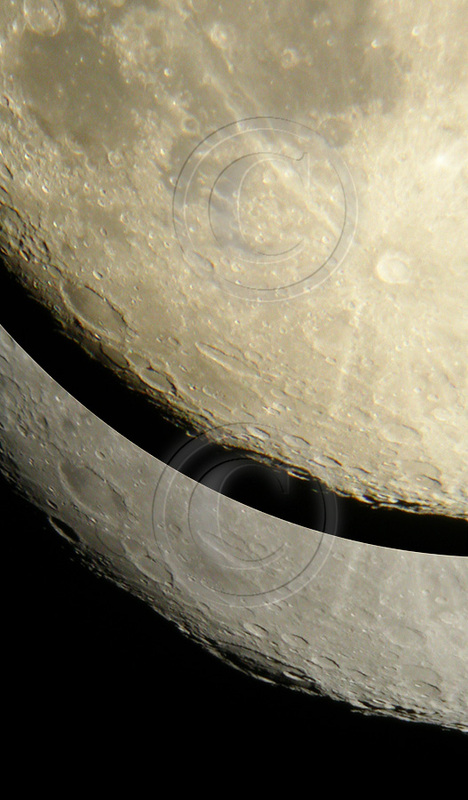 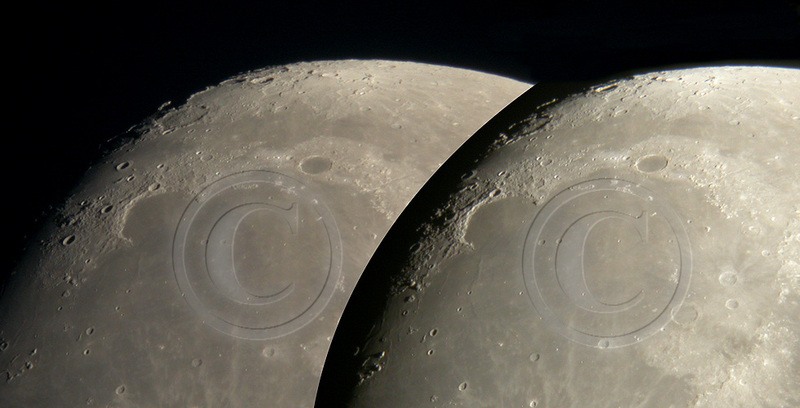 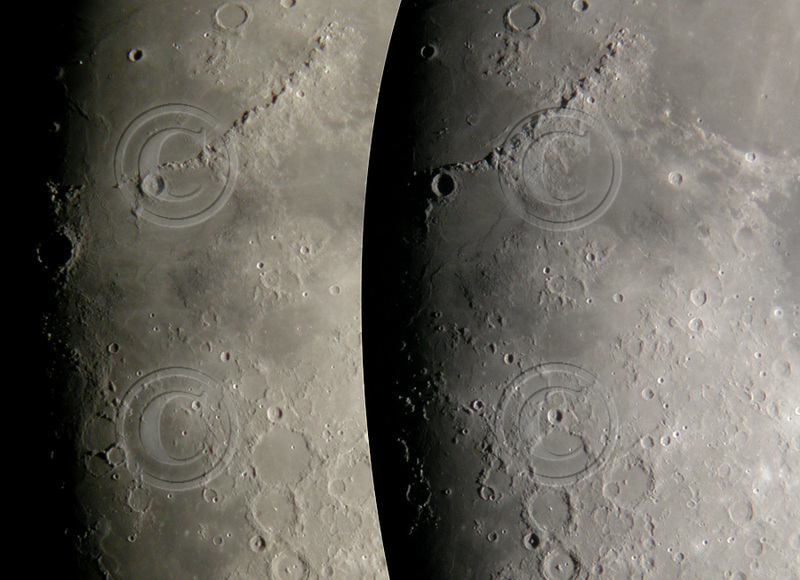 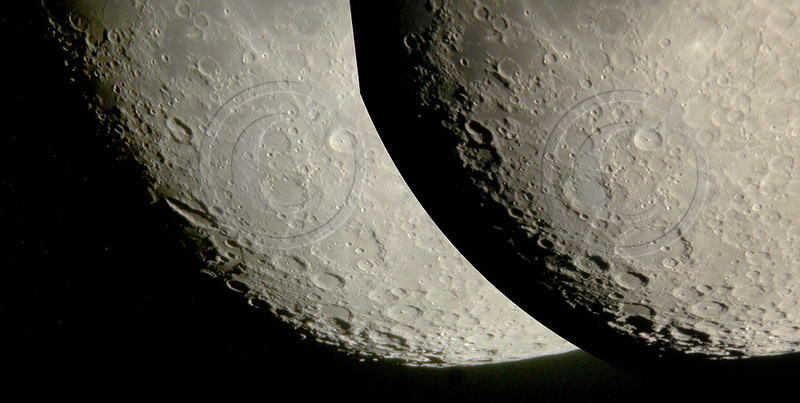 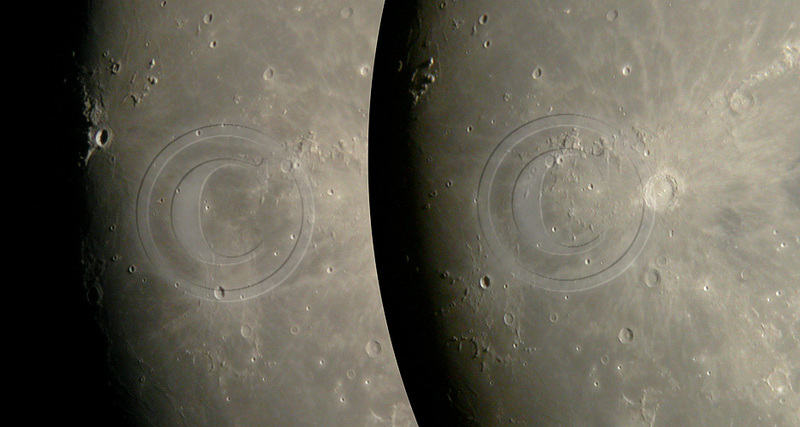 These images at their full size have the resolution given in category "Lunar phases". 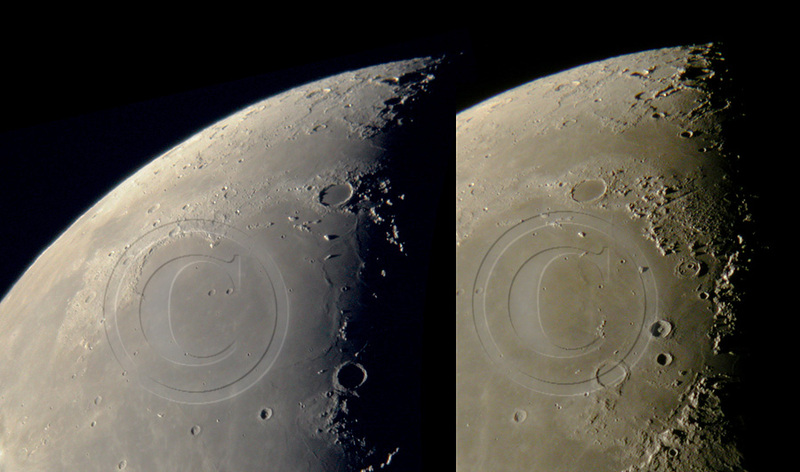 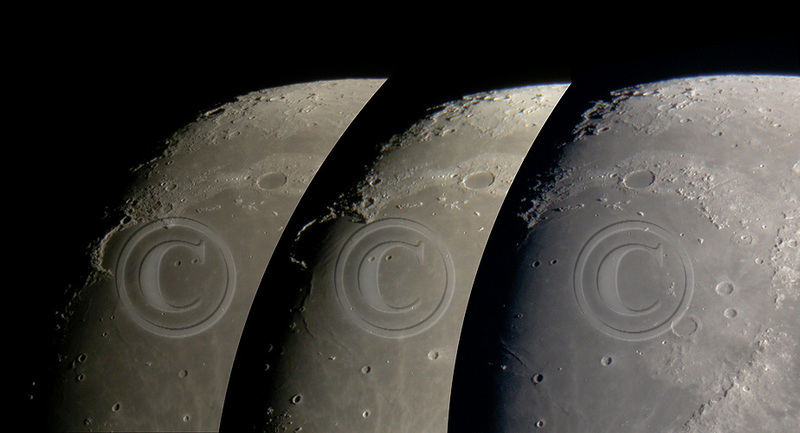 (See also Tuning lunar images .) 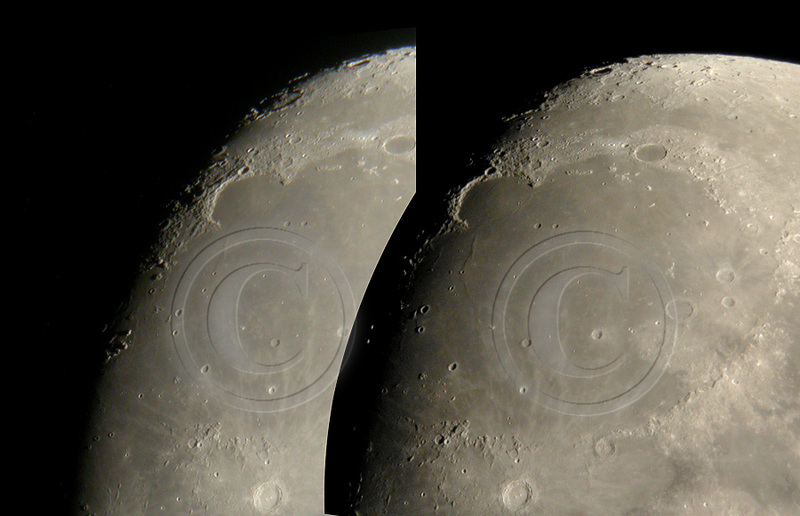 It is pity that to keep images reasonable in length, their height in some cases had to be scaled down to 400 pixels.